Turkish Airlines in 2018 serviced over 800,000 passengers of own flights to/from Ukraine, which is 28% more than in 2017. General Manager of the airline Dincer Sayici said at a press conference in Kyiv on Tuesday that the number of transit passengers on international flights increased 25%. The total number of passengers traveling to/from Ukraine increased 14%. The load factor for flights to and from Ukraine was 71%. The most popular destinations are Istanbul, Phuket, Guangzhou, Antalya, Miami, Beijing, Maldives, New York and Barcelona. “The freight traffic of the airline from Ukraine increased by 16% for exports, by 23% for imports compared with the figure for 2017,” Sayici said, without giving absolute figures. According to him, Ukraine in 2018 took the seventh place in the number of tourists visiting Turkey, showing an increase of this flow by 10%. 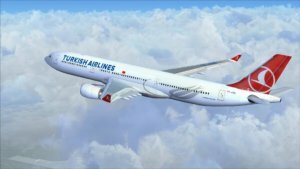 In general, Turkish Airlines in 2018 increased the number of passengers carried by 10% compared with 2017, to 75.2 million people. The load factor rose by 1.1 percentage points, to 80.2%. For the year, the airline operated flights to 124 countries in 306 destinations. Turkish Airlines (Turkey) from April 6, 2019 will launch direct regular flights from Bodrum to Kyiv once a week. “We are pleased to announce the opening of a direct flight on the Bodrum-Kyiv-Bodrum route, which is a popular vacation destination among Ukrainians,” director general of the Turkish Airlines representative office in Kyiv Dincer Sayici said. Bodrum-Kyiv-Bodrum flights will be operated by the Turkish air carrier once a week on Saturdays with departure from Bodrum at 01:15, from Kyiv at 04:40 local time. The network of Turkish Airlines routes in Ukraine covers Kyiv, Odesa, Lviv, Kharkiv, Kherson, and Zaporizhia. 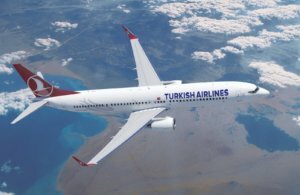 Turkish Airlines from November 15, 2018 will increase frequency of the Istanbul-Kyiv-Istanbul flight by five, to 21 flights a week, and from February 18, 2019 – by three more, to 24 flights a week. 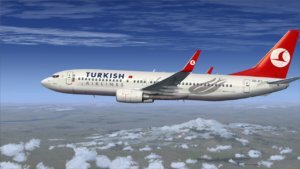 As reported, Turkish Airlines from September 25, 2018 increased the frequency of Odesa-Istanbul flights by three, to 21 times a week. Turkish Airlines in 2017 served more than 600,000 passengers on its own flights to/from Ukraine, which is 18% more than in 2016. The flight schedule of Turkish Airlines in Ukraine covers Kyiv, Odesa, Lviv, Zaporizhia, Kherson and Kharkiv. Turkish Airlines (Türk Hava Yolları, THY) was established in 1933 with a fleet of five aircraft. For today has an air fleet of 329 passenger and cargo aircraft. Turkish Airlines from September 25, 2018 will increase the frequency of Odesa-Istanbul flights by three, to 21 times a week. According to the airline’s press release, flights will be operated according to the following schedule: daily departure from Istanbul at 07:55 and 19:10, from Odesa at 10:25 and 21:35; on Mondays, Wednesdays, Fridays and Saturdays with departure from Istanbul at 00:50 and from Odesa at 3:20; and also on Tuesdays, Thursdays and Sundays with departure from Istanbul at 13:10 and from Odesa at 15:40 local time. As reported, Turkish Airlines in 2017 served more than 600,000 passengers on its own flights to/from Ukraine, which is 18% more than in 2016.